Swittch is to discover smart products, know their makers and explore latest trends and stories as they unfold. 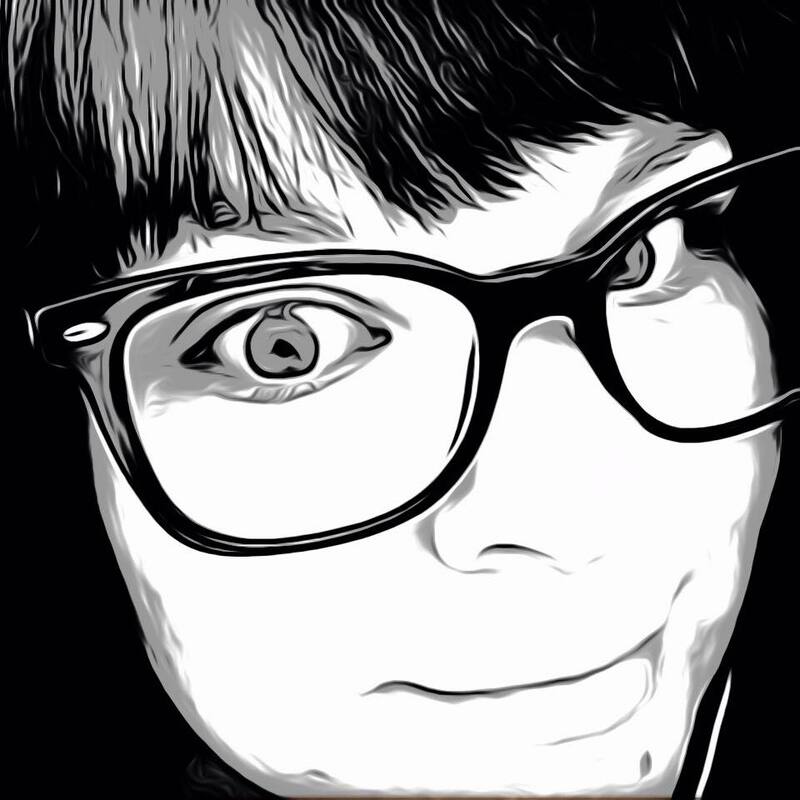 Swittch features creative products and makers behind them. Products featured includes Drones, 3D Printers, Security Cameras, Virtual Reality / Augmented Reality Headsets, Smart Gardens, Fitness & Fashion Wearable and other next generation tech products those are ready to buy. 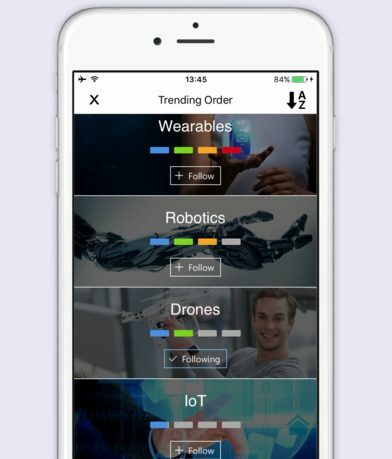 For some of us geeks who love stories around awesome technology, Swittch also brings the latest trends & stories as they unfold from the world of Crowdfunding, Drones, 3D Printers, Virtual Reality, Augmented Reality, Tech Wearable, Blockchain, IoT, Fashion Technology, Tech Startups and more. 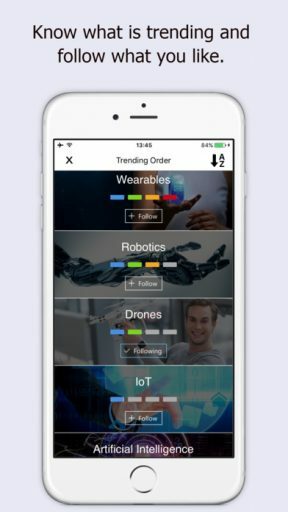 Swittch uses its proprietary algorithm to determine what is trending. As a user of the App, you can discover the latest products, interact with makers, explore latest trends and stories and get notified for what you like most. As a maker of the innovative products, you can connect with early adopters and buyers and learn about the latest trends & stories that matters you most. Swittch makes it very simple to discover new products, makers and stories. Start by opening Swittch. In one screen there will be a quick tutorial for navigating through the app. Connect a Facebook, Google or Twitter account to create a sign-in and browsing is as easy as a swipe of your finger. Pull down to view categories and all products, swipe left to see the next featured product, and swipe up to see more products. Swittch is unlike any other app or service I have seen. It’s main purpose is to bring awareness to new and innovative products and the makers of those products and showcase their stories to interested users. Designed much like a news feed, users can browse through product pages with pictures, information and more. Then users can like the page, follow and share. If you are really interested in a product, you can also help fund or buy it directly. Click Buy Now and an email will be sent with a link to the maker’s website on how to buy. The app’s interface is beautifully put together with full screen photos on each page. The swiping navigation is very easy to learn so there is no need for interfering tool bars. Products are also divided into categories so if you only want to browse smart devices and fashion tech you can. Swittch also displays featured products it recommends. It is definitely a great way to stay on top of the latest and greatest developing ideas and the minds behind them. What is even better is you are able to directly support those ideas. The Swittch app is available now in the App Store for free.